Not long after being elected to form a government, the BC NDP tabled its September 2017 budget update. Included in that update was a commitment to do away with BC’s Medical Services Plan (“MSP”) premiums within four years. Budget 2018 arrived on February 20, 2018. Minister of Finance, Carol James, announced that MSP premiums would be eliminated effective January 1, 2020 with the foregone tax revenue being offset by a new payroll tax: The Employer Health Tax (“EHT”). The EHT comes into force on January 1, 2019 and, as such, a year of transition is upon us. Historically, BC residents have paid MSP premiums based on their annual adjusted net income with an income of over $42,000 resulting in a premium of $37.50, monthly in 2018. Notably, this was a 50 per cent reduction from 2017 when an individual with a similar income paid $75.00 per month. Indeed, the shift of the burden away from the individual taxpayer had begun. Whereas MSP premiums are levied on individual residents of BC, the EHT is imposed on a business’ payroll and this is done on calendar year basis. Employers with BC remuneration of $500,000 or less in a calendar year are exempt from the EHT. This means that, on a payroll of $1,000,000, the EHT is $14,625. A payroll of $1,500,000 yields an EHT of $29,250! An EHT of this magnitude means that a business will also be required to make quarterly instalment payments on June 15, September 15, December 15 and March 31 with the final payment being accompanied by the annual return. In fact, any payroll greater than $600,000 will result in the requirement to remit quarterly. Registration for the EHT begins January 7, 2019. If you are required to make instalments in calendar 2019, you must register by May 15, 2019. All other employers required to register must do so by December 31, 2019. Employers must file and pay their first EHT return by March 31, 2020. While MSP premiums were reduced in 2018 in anticipation of their elimination, the fact that the MSP will remain in-place until January 1, 2020 means that some employers may be liable for both the MSP and EHT for calendar 2019. Businesses should consider how they may be affected by the EHT in 2019 and plan accordingly. The factors involved are complex. However, your Lohn Caulder advisors are here to help you navigate through this transition, learn the rules and avoid unnecessary surprises. Please contact Graham Caulder of our office if you have any questions regarding above information. Graham’s email address is grahamc@lohncaulder.com, and his direct line is 604-408-3074. Lohn Caulder LLP is proud to announce a 100% pass rate on the Common Final Examination (CFE). 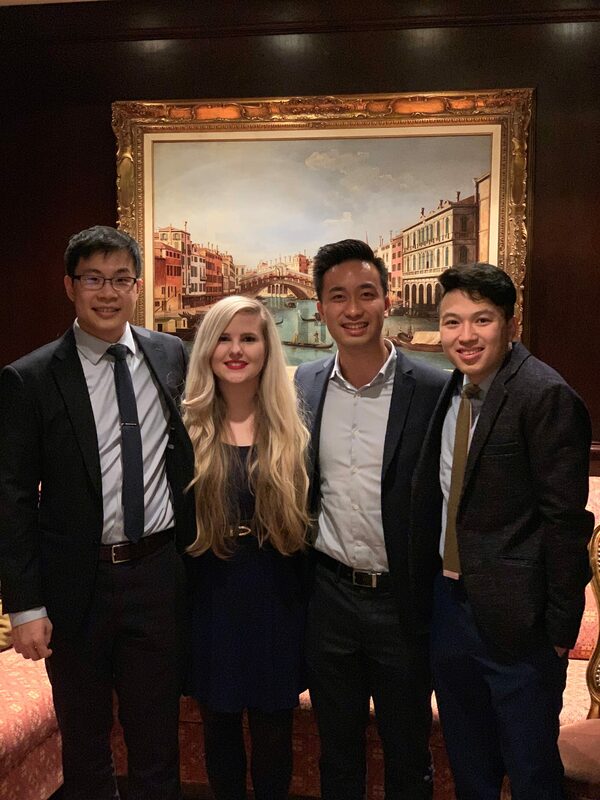 We would like to congratulate Simon Tse, Tara Whitelaw, Greg Pow, and Simon Li on achieving this milestone. We look forward to your long and successful careers as Chartered Professional Accountants!! Relative to the tax collection services of other countries, we have to say that Canada’s is among the best: competent, polite, and thorough. Sometimes (but rarely) they have to get tough with taxpayers over the phone – but that’s only at the collection stage, which thankfully is a stage unknown and unfamiliar to virtually all of our clients. Our mission is to make sure things never get that far. It is, of course, quite common to hear about internet and telephone scams. We’re writing this bulletin to make you aware of a recent increase in the frequency, sophistication, and aggressiveness of these frauds. Recently, we have had clients volunteer banking and/or credit card information to persons on the phone who claim to be from the Canada Revenue Agency. Those scammers make the pitch that immediate payment (often in the form of Bitcoin, or some other ‘questionable’ medium) must be made, else ‘serious consequences’ may ensue – maybe even a warrant issued for their arrest ! Sometimes, the scammer has a partner-in-crime whose purpose is to add authenticity to the call (even going so far as to showing differing caller i.d.’s on your telephone). While the Canada Revenue Agency may annoy or scare some people, they are, in our experience, about as polite as you would expect Canadians (as a rule !) to be. If someone with a “bad attitude” were to call you claiming to be from the CRA, it’s your right to ask for their i.d., location or section number, and phone number. Then, verify the call by calling CRA back yourself (but NOT at the number they give you – use a general number for the CRA in your area). But better still, have us make that call for you. That usually puts a stop to the whole charade. Believe it or not, it might have been. But the Budget released by Finance Minister Morneau on February 27th nevertheless levied a heavy blow to successful businesspeople across this country. The Small Business Deduction: are its days numbered ? The small business deduction (“s.b.d.”) sets the low rate of tax for active business profits earned by private corporations – in BC, that rate is currently 13% – admittedly, a very low rate. Now, thanks to this Budget, it will drop even further: to 12%, and then 11% in 2019 (these rates factor in current BC tax, as well). All that looks very good. But then: what can you do with the earnings retained inside the corporation ? The Government wants you to spend that money on things that will generate even more active business income. And if you do – no problem. But if you don’t want to do that, or if such a level of investment is not needed or appropriate in your circumstances, you have little choice but to accumulate the earnings, for long-term investment. Certainly, that’s nothing to be ashamed of, given the relatively poor opportunities for retirement savings that entrepreneurs have (RRSPs being the principal tool here). That’s a big contrast to the kinds of pensions that highly paid employees or Government employees – particularly cabinet ministers – get to enjoy. And do not forget that the taxes levied to individuals on the eventual extraction of those accumulated profits has been increasing dramatically in the past few years – such extractions will generate taxes that the Government will rake in at a top rate of tax of either 49.8%, or 43.73% for ineligible dividends, 34.2% for eligible. That’s a big rake ! The new rules will also change the long-established method of dealing with corporate refundable tax (“RDTOH”), by making things much more complicated. In future, it will be necessary to specify whether dividends are intended to be paid out of “eligible RDTOH” or “ineligible RDTOH”. A new ordering rule will require companies to pay out ineligible dividends beforeeligible dividends. Since taxes are much higher on ineligible dividends, the Government wins again. The plan has always been to structure extraction of funds at a pace that avoids, if possible, those high rates. And, to some extent, those opportunities will remain. However, recent developments in income tax disclosure, which includes the mandatory provision of asset holdings has provided the minions at the Department of Finance with a wonderful array of statistics as to the accumulating wealth of successful Canadians. And while the prospects of seeing these funds eventually pass out of these corporations encourages them, it seems they have grown impatient with the wait. So, they have invented a new way to raise taxes on these funds in the meantime. The small business deduction for all private corporations will be eroded, starting for fiscal years that begin after December 31, 2018, by the income earned on the investment wealth inside the corporation, or by associated corporations (such as holding companies) under common control. No erosion of s.b.d. will occur until “adjusted aggregate investment income (aaii)” (a new term) exceeds $50,000 per year (recall some press recently that this presumes a 5% return on an investment portfolio of $1 million). Whatever – what counts is what investment income is actually realized. But once the $50,000 threshold is exceeded, the small business deduction shrinks at the rate of $5.00 for every dollar of investment income higher than that. So the s.b.d. completely disappears at passive income levels of $150,000, or more. Obviously, the quantum of a corporation’s a.a.i.i. will be essential information. And it will, of course, add to the cost of calculating and filing tax returns. Since no “grandfathering” has been offered (despite being promised by the Government in recent months), all those with investment portfolios that exceed, perhaps, $2 million or so at this time (again, the s.b.d. “grind” will be determined by actual, realized investment income) will no longer get the small business deduction. The tax rate differential between the small business rate and the general business rate will be 15% in B.C. in 2018. This means a corporate tax increase of $75,000 per year to those successful corporations who are suddenly caught by this rule. Ouch ! Of course, there are also some traps in these rules, just to keep things interesting. One particularly sneaky trap is the inclusion of income from savings in a “non-exempt” life insurance policy in the definition of a.a.i.i. This type of information has, until now, seldom been needed by accountants in determining corporate taxes. No longer. Insurance companies and agents will have to be far more communicative and proactive than they have been in the past in order to assist in the preparation of annual corporate tax returns. Thankfully, most insurance policies sold these days are generally ‘exempt’. Also, the passive income grind will be based on actual investment income realized and taxed in the year. So, if you have invested in various low-yielding assets, such as real estate or low-risk debt instruments, you may be able to keep your actual income fairly low, and perhaps under the limit. Investments in companies that do not pay dividends, but rely on capital growth, may become more desirable – or perhaps we will see more offerings of “dividend deferral” schemes in the investment market. A useful exclusion from the “investment income” definition is for dividends received from connected corporations, which, thankfully, means that holding companies can still be put to their useful purpose of storing the money, in a place where it is hoped to be more or less safe from general business liability concerns. Consider also what may happen in a year when you may have “re-balanced” your investment portfolio (perhaps on the suggestion of your investment advisor) and, just for one year, spiked up your investment income because of realized taxable capital gains ? Well, in the next year you could very well lose your s.b.d. If your money goes “quiet” in the next year, the s.b.d. could be reinstated, however. And how will we manage the issue of “working capital”, and corporate savings for future business asset acquisitions ? Generally, until now, the Canada Revenue Agency has considered the interest earned on the deposit of monies kept for these purposes as active, not passive income. Since so much will hang on this determination in the future, suddenly a whole new level of uncertainty has crept into the management of taxes for corporations. All of this, will, of course, play havoc with tax payment deadlines, as because those are directly affected by whether or not a corporation is entitled to the s.b.d. Prepare for a future in which unintended interest charges are levied by CRA at random times, and due to random events. The whole process of Budget making has been under scrutiny for several months, since last summer’s rash and disturbing release of much more draconian measures. Thankfully, at least most of these have been scrapped. But a total lack of sympathy for the concerns of small business is strongly evident in the current Government’s proposals, its statements, and its proposed legislation. Hidden away in the commentary were questions raised as to the need for the small business deduction, at all. So could this be the beginning of the end of the small business deduction ? Don’t count that out – there has to be something for future Budgets to tax ! It’s getting to be a nasty habit of the Federal Government: dropping major tax legislation on us just as everyone is leaving for the holidays. It happened last July – and again now (December 13th 2017). What was so urgent that needed releasing ? The “TOSI” (tax on split income) rules that our Government considers an important priority. They say that these changes will raise an additional $200 million in tax. In view of the fact that the annual deficit is currently projected at almost $18 billion, we can think of some other things that could perhaps use some attention, but never mind. Please note: it’s important that we emphasize up front that salaries and wages (reported on a T4 slip) are not subject to these new provisions – the Government appears to be satisfied that the long-established principle that such earnings must be reasonable in the circumstances already prevents taxpayers from paying their spouses $100K for doing the banking, and other shenanigans. These tax changes are really the tax world’s equivalent of an earthquake. Out of the blue, we now have the concept of “earning a dividend”, rather like a job. For instance, to avoid TOSI individuals have to be actively engaged on a regular, continuous and substantial basis. That’s a provable average of at least 20 hours per week, according to CRA. In addition, the Department of Finance clearly has a “hate” on for service businesses, as opposed, for example, to a seller of goods. “Professional corporations” and businesses basically dedicated to the provision of services are intended to be caught by these rules. That’s awfully discriminatory for what are probably the majority of businesses in this country. Such an approach has never been attempted on such a scale, and, assuming this recent Bill is passed in its current state, it seems to us to be almost certain to be challenged in Court, with one possibility being the eventual overturn of the whole thing. While that might be pleasant to contemplate, the problem is that such a Court decision, if it ever did happen, would be years away, leaving taxpayers floundering on their own, in an ocean of uncertainty. But wait: maybe that should be our strategy: clog the Courts with tens of thousands of tax appeals ? Hold that thought. TOSI currently applies to dividends, capital gains, and other “income splitting” structures received by minor children (under age 18). As TOSI is now being re-written, it will (as of January 1, 2018) now apply to recipients of certain types of income by persons of ALL ages (except at age 65 – more comments on that to follow). Excepted are capital gains arising on the sale of farm property, gains realized on “qualified small business corporation (QSBC)” shares, gains that might otherwise arise as a consequence of marriage breakdown, or the deemed disposition arising on death. Thank goodness – those events are serious enough, all by themselves ! The QSBC exception will be most valuable to business owners who can qualify, since it is a means of multiplying the exemption across all family members, regardless of age. A family of 2 adults and 3 children, for example, could qualify for tax exemption on a total of $4.2 million in gains – which is nothing to be sneezed at. A great relief to our older clients will be that dividends paid won’t be subject to TOSI if the active shareholder is 65 or older (while the spouse receiving the dividend could be younger than that). That fits well with the notion that holding company accumulations are, in many or most situations, intended to provide a retirement income to business owners. This rule is apparently designed to dovetail with the ‘pension splitting’ rules that are already permitted by law. The TOSI serves to apply the top marginal rate of tax applicable to ‘ineligible’ dividends (43.7% in B.C., in 2018, for example) to the affected income. Since that’s ridiculous, a TOSI is obviously to be avoided, at all costs. Dividends will, for the first time, be subject to a “reasonableness test” which, in all honesty, will likely catch almost all of our clients. Thus the major impact of this change will be to concentrate income in the hands of the principal income-earner. That’s guaranteed to cost those who have been using income splitting strategies in the past a lot more tax, starting in 2018. The government is, in fact, so dedicated to the idea of eliminating income splitting benefits for “professionals” (doctors, lawyers, accountants, and a host of others) that it has even gone beyond that, extending the new rules to all businesses who derive their income from services. Canada has a great many private corporations involved in providing services, and to discriminate against them, versus, say, companies engaged in selling products seems unduly harsh. Much of the TOSI exclusions centre on something called “business income”, and while the reader might be forgiven for assuming that such a thing would, by now, be well understood – actually, we’re far from it. The Income Tax Act has always taken effort to distinguish “income from property” from “income from business”, and yet the definition of “business” in the Act is “an undertaking of any kind, whatever”. It seems that “undertaking” excludes passive investing, but that’s not a certainty. The new rules require direct share ownership by any individual seeking to avoid the application of TOSI. So does this basically spell the end of family trusts ? Stand by for more information on this topic, as many of our clients have profitably utilized family trusts for years. While many such trusts are getting old, there may be some “housecleaning” needed if the supply of income splitting candidates has dwindled away. And don’t forget that all trusts have a deemed disposition date on the 21st anniversary of their creation, which could trigger large and unwanted capital gains. Usually, prior to that time, trusts are wound up, by way of tax-free distribution of the trust’s capital (most importantly, the shares of the subject corporation). This may motivate a lot of trusts to pack it in – but you must be cautious. Trusts are likely still the best (and possibly only) way to multiply the capital gains exemptions on the eventual sale of a family QSBC (see other reference herein) – so it’s best to discuss all this with us before doing anything drastic. The TOSI rules are certainly intended to restrict the amount of income that can be “split” with a spouse. Most concerns should be alleviated by simply waiting until age 65, but some clients may want to revisit the concept of setting up their own formal pension plans, known as the “individual pension plan (IPP)”. The reason: it’s possible for the recipient of benefits under an IPP to split up to 50% of that income with his or her spouse, once pension payouts have begun. Thus, it may be possible to do an “end run” around the new restrictions, using some pre-existing planning possibilities. One interesting factor in all of this could yet throw a ‘wrench’ into the Government’s plans: the Senate. This non-elected body, which has caused frustration on many past occasions, might ride to our rescue, and refuse passage of this Bill on the basis that these changes are so fundamental to established tax practice, they require a Royal Commission to consider. The last Royal Commission on taxation was formed in the 1960’s, which led the taxation of capital gains and a huge overhaul of the Income Tax Act at the end of 1971. It’s also important to note that these TOSI rules are just the opening act – the July 2017 pronouncement included possible new taxes on holding companies and other corporate accumulations of investment capital that some commentators have been calling confiscatory. And that’s despite the fact these accumulations have been completely legal for decades. Most of the time, they merely serve as a form of “do it yourself” pension plan for their owners. Too bad that those owners have to first earn the money that goes into these plans – unlike the incredibly expensive pensions that members of Parliament enjoy, but that very few Canadians are even aware of: as much as $2 to $3 million, each). We’ll keep you posted on developments, as they occur ! Lohn Caulder LLP was very proud to support our local non-profit Covenant House Vancouver with their Christmas backpack program. It was a fantastic evening to give back to our community and support our at-risk youth during the holiday season. 2018 Tax Proposals – Where Are We At Now? In order to best understand where we are at with the 2018 Income Tax Proposals it is helpful to look back and see where we came from. In March 2017, the ramp up to Budget 2017 was riff with rumors that the capital gain inclusion rate was going to go up 50% effectively to 75% and the government was going to shut down the use of Family Trusts. As it turns out, none of this happened, rather there was only one tax item of any consequence that saw work in progress for professionals being taxed commencing 2018 over a 2 year phase in period (subsequently changed to 5 years). There was some commentary that a review would be done of the taxation of private corporations and for some this was taken as a positive sign that the government would not proceed using this as an excuse to sweep the exercise under the carpet similar to what they did with their proposals on election reform without any drastic changes to the tax system. Then on July 18, 2017 the tax community was shocked when in the dead of summer they introduced sweeping income tax changes the like of which have not been seen in 40 years. This was all to be finalized after only 75 days of “consultations”. The changes amounted to major tax reform which normally would be the subject of a Royal Commission and indeed the magnitude of the changes have not been seen since 1972. After the government received over 20,000 submissions and a daily beating by the press, even by those newspapers that normally support the Liberal government, during the week of October 16th daily announcements came out of the Department of Finance which revamped the original proposals or abandoned them. The proposals with respect to capital gains, life time capital gain exemption, succession planning, double taxation of estates and inter-generational transfers were all dropped. With respect to passive income a “bone” was offered that it would not impact the first $50,000 of annual passive income and there would be more details and implementation of the passive investment proposals in Budget 2018. With regards to income sprinkling or as we call it, “income splitting”, the government continued to push ahead and suggest that there would be a “reasonableness test” that would target these recipients of dividends and other income at what effectively would be a 50% tax rate and without the benefit of tax credits and deductions. The government is now pressed to write legislation and have it introduced before the end of the year on income splitting or a “tax on split income” (TOSI). Discussions with the Department of Finance suggests that the draft legislation should be coming before the end of the year, but then the Senate has become more independent and in order to become law the Senate would have to pass the legislation and have been pushing back. Officials from the Department of Finance suggested to us that the legislation will be much simpler than what is currently being proposed and will provide for exemptions. What this actually means we will have to wait and see. The existing proposals would result in many years of litigation in tax court to be able to interpret and apply the provisions. It is obvious that the government has “bitten off more than they can chew” and the passive income rules now to be introduced in Budget 2018 we don’t think will come to pass or will be changed significantly. The Department of Finance officials have suggested that they are not going to be applicable to holding companies and investment companies, and really only meant to be applicable to the after tax income of active business corporations. What is this supposed to mean? At this point it appears that the tax on split income (TOSI) proposals will have some application. Accordingly, it may well be that 2017 is the last year that dividends could be paid to adult children and spouses without raising the angst of Canada Taxation. We are advised that where possible you use this window before 2018 to consider “topping-up” any income to family members accordingly. Please do not hesitate to contact us to discuss how the new proposals can impact your corporation and family taxes. 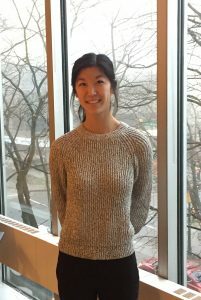 The staff at Lohn Caulder LLP are proud to congratulate Rebecca Lung on passing the Common Final Examination. We look forward to your long career as a Chartered Professional Accountant. On July 18, 2017, the Federal Government introduced some proposals and draft legislation which perhaps they’d hoped would be overlooked while Canadians enjoy their summer holidays. the elimination of the possibility that a business owner might seek to extract funds from his or her corporation at capital gains tax rates, rather than as dividends. Welcome to the 2017 Personal Tax Filing Season! It’s time again to file your personal tax returns. The deadline keeps changing – this year, those returns must be filed with the Canada Revenue Agency by no later than Monday May 1, 2017.